This ancient article of faith, paradoxically enough, also serves as an apt descriptive salvo for the birth of the modern worldview. An ongoing exhibit co-sponsored by the University of Oregon Libraries’ Special Collections and University Archives and the Kellenberger Library of Northwest Christian University illuminates multiple perspectives on Reformation history and thought through displays of authentic period materials from the universities' respective rare books collections. Together, Reformation and print generated a revolution in communication. The proliferation of sacred and liturgical texts translated into the vernacular made complex religious controversies accessible to publics of unprecedented size. They also elevated and standardized vernacular languages like German, French, Dutch and English. 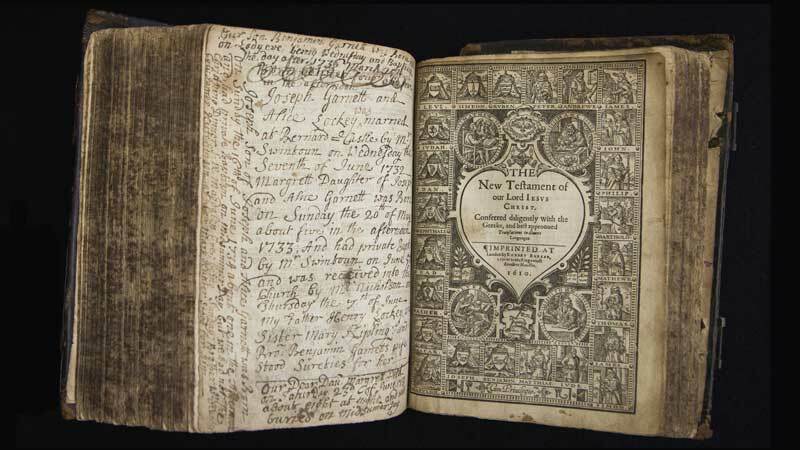 This 1610 Bible translation, called the Geneva Bible, illustrates the common domestic uses of printed sacred texts – note the family history inscribed onto the page facing the title page of the New Testament. “The Bible: Translated According to the Ebrew and Greeke, and Conferred with the Best Translations in Divers Languages. With Most Profitable Annotations upon All the Hard Places, and Other Things of Great Importance, as May Appear in the Epistle to the Reader.” (London: Robert Barker: 1611). As showcased in “Word Made Print: Reformation and the History of the Book,” the world’s first “media event” occurred when manuscripts handwritten in Latin and other dead languages gave way to books printed on mechanical presses, with type set in the vernacular languages spoken by the common peoples of the time. The first seeds of modernism were planted 500 years ago this autumn, when a scholar-priest living in Saxony published his lengthy list of criticisms against the Catholic Church’s selling of indulgences. 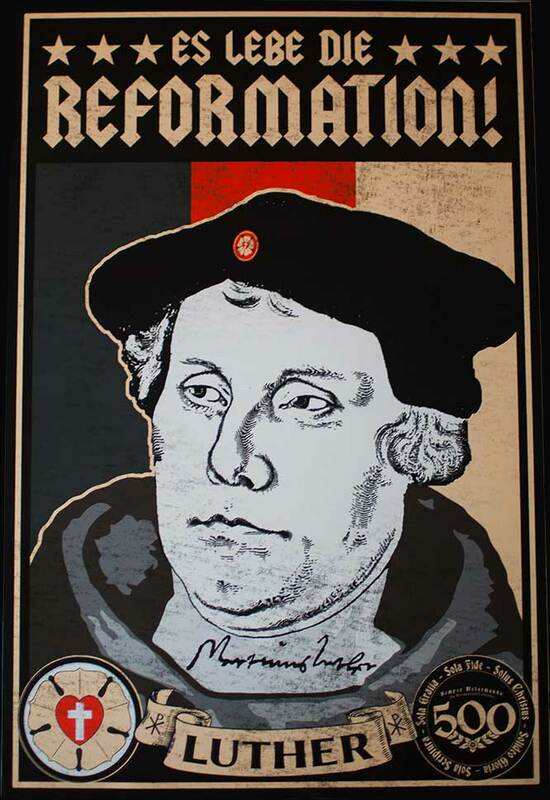 Today there is some doubt as to whether Martin Luther literally “nailed his 95 Theses to the church door” at Wittenberg on Oct. 31, 1517. What is beyond debate, however, is that his act of protest carried social and theological ramifications that quickly spread to every corner of Europe and continue to bear consequences down to the present day. The dissolution of many monasteries – the main centers of book production and preservation in pre-Reformation Europe – meant the wholesale dismembering of many medieval manuscripts and the preemption of the scribal arts that produced them. However, as this gorgeous manuscript well illustrates, the scribal arts that preceded the printing press were preserved in some Catholic monasteries long after the Reformation. 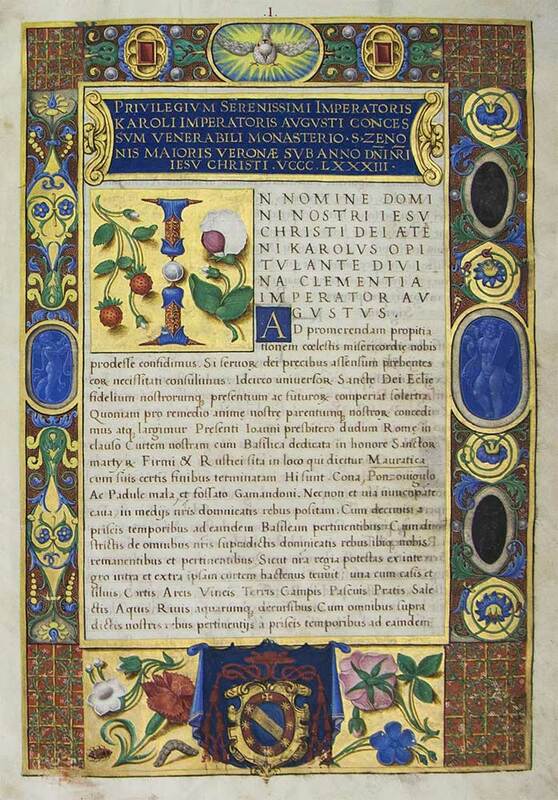 “Privilegia et documenta ad monasterium S. Zenonius Maiorii Veronae” (Privileges of the Verona Monastery). [16th century]. [Latin]. The Bible had been translated into most western European languages long before 1517, but copies were few in number and lay people rarely encountered them. The Reformation and printing technology made Bibles available in vernacular translation at a far lower cost. Inevitably, translating itself became an object of power: whoever controlled translation also determined how the Christian faithful experienced their holiest text. Bible translation also tended to accelerate the standardization of national languages. The Protestant Reformation began as an attempt to reform the church by priests who opposed what they perceived as false doctrines and systematic corruption. 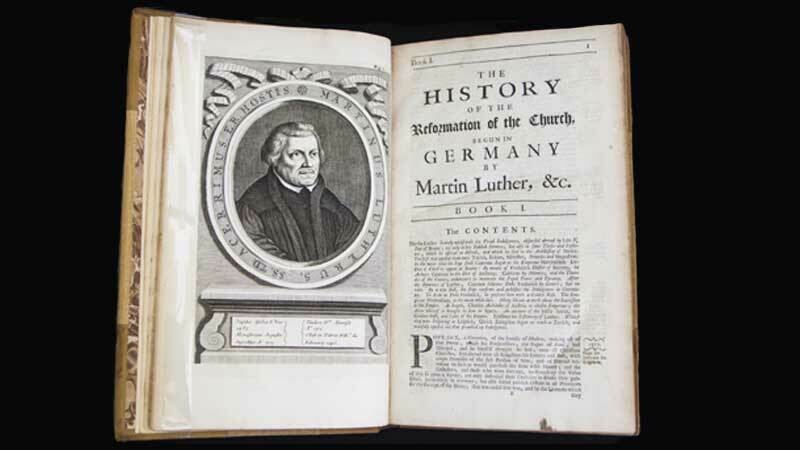 In addition to the theological factors, however, the roots of the Reformation were intertwined with the advent of humanism, nationalism, nonconformist education and the Renaissance spirit of skepticism before tradition. The fusion of print and reform accelerated another revolution – the unprecedented transformation of Christianity into the first globe-spanning religion. The contest with Protestant churches in Europe propelled Catholic expansion, already underway. Through print, authors could reach audiences and win converts all around the world. Athanasius Kircher, a member of the newly founded Society of Jesus, was able to draw on reliable sources through the global network of Catholic missionaries, as in this account of China. He did so from Rome, where he produced a landmark style of florid, encyclopedic works rich in images, read and imitated around the world. Technological innovation played a vital role as well. With the invention and rapid spread of Johannes Gutenberg’s printing press, the means to broadly disseminate written materials existed for the first time. Reformers embraced the new technology, producing inexpensive pamphlets, religious tracts and Scriptures translated into the vernacular European languages. New uses, forms and aesthetics of the printed word quickly developed, varying across the different Christian churches that were emerging. Consequently, the Reformation would play a decisive role in the promotion of literacy and the expansion of Christianity as a world religion. 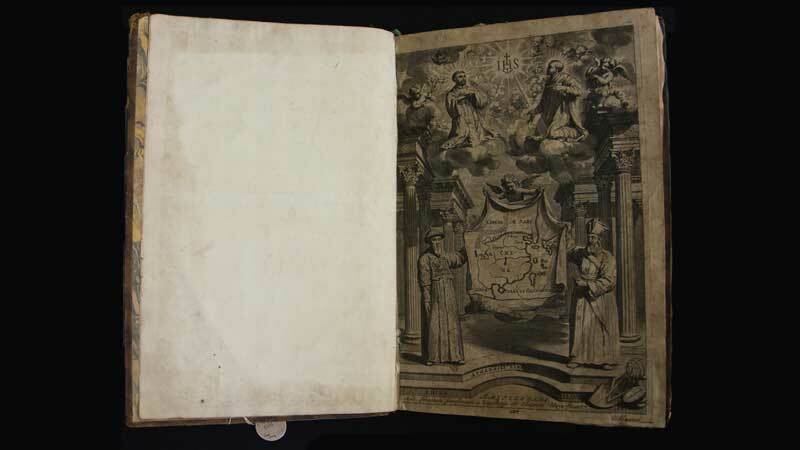 In response to the Reformation, print served papal efforts to unify its Catholic theology, texts, and rites. This project included censorship: but for those lucky enough to obtain the license to publish, a world of Catholic consumers awaited. 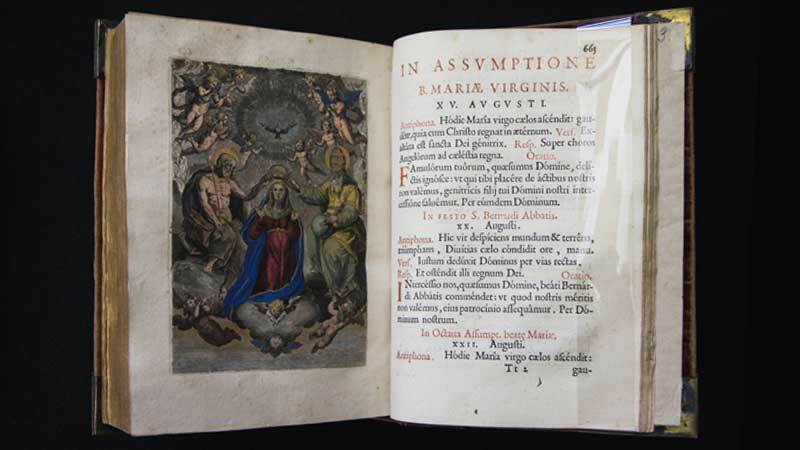 One such fortunate was Christophe Plantin, of Antwerp, who published more than forty editions of the officially approved Office of the Blessed Virgin Mary. Curated by Vera Keller, David Luebke, Steve Silver and David de Lorenzo, “Word Made Print” is a collaborative effort between the University of Oregon and Northwest Christian University, the UO Libraries’ Special Collections and University Archives, and NCU’s Edward P. Kellenberger Library. Be sure to visit NCU’s portion of “Word Made Print,” on display in the Kellenberger Library until Dec. 15.